Andrew Samalin, CFP®, EA, CDFA™, Principal, Samalin Group, Past President of the Association of Divorce Financial Planners, is a 25 year veteran financial specialist assisting attorneys, CPAs and other professionals manage their families’, firms’, and clients’ financial planning and wealth management needs. Andrew Samalin is the founder of the Samalin Group, a nationally-recognized, award winning SEC-registered investment advisory team offering a 360 degree, unbiased, professional and fee-only view on financial issues that are important to professionals and their clients. They contemplate the tax, risk, reward and cash flow aspects of financial decisions and how they affect clients’ short and long term financial lifestyles. Prior to founding Samalin Investment Counsel, Andrew held Senior Vice President – Investment positions at Morgan Stanley, Prudential Securities, and Wachovia Securities. Andrew is a graduate of New York University for both his undergraduate and Master’s degrees. He is a Certified Financial Planner (CFP) by trade and by focus, and is an Enrolled Agent (EA), a federally licensed tax practitioner with the IRS, to assist the professionals and clients with pre- and post- divorce financial planning engagements and tax analysis. He is also a Certified Divorce Financial Analyst. Have Andrew Samalin speak at your event! 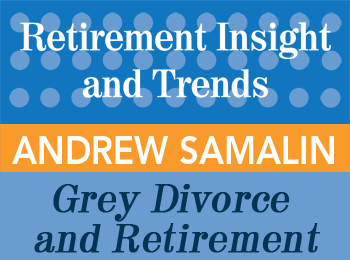 Andrew Samalin is one of many experienced speakers and keynote presenters on a variety of topics for your retirement professional development or consumer group. Please contact us today via email or phone 847-686-0440 x102 if you would like to have Andrew Samalin present at your conference or appear at one of your events, or to receive a free voucher to view a sample of one of our speaker’s work. 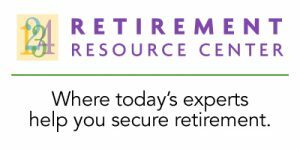 Find courses and products from Andrew Samalin at the Retirement Resource Center, and learn more about the Samalin Group.